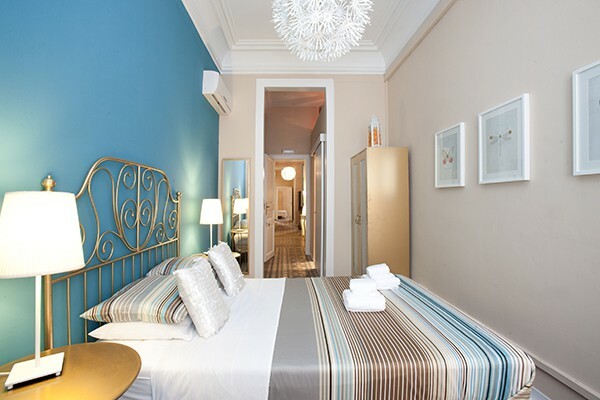 In de beroemde wijk Eixample in Barcelona, waarin u veel van de belangrijkste werken van Gaudi vindt, bevindt zich ons Bed and Breakfast, een huis ontworpen voor onze gasten, waar u niet alleen kunt genieten van ons schone, comfortabele en zeer goed gelegen Bed and Breakfast. We bieden u toegang tot onze keuken met koelkast en magnetron, en een een compleet en gevarieerd ontbijt buffet. In de boekenkast hebben we kaarten van Barcelona en allerlei toeristen informatie zoals de monumenten, shopping, gezellige en betaalbare bars en restaurants en uiteraard alles over Barça! Casa Maca is definately a great bed & breakfast. I visited this place with my mother, who is always very fussy when it comes to cleanliness but she immediately fell in love with the place. When she sat down for the first time, she said: "This is a real holiday", and that's about the biggest compliment a place can get from her. 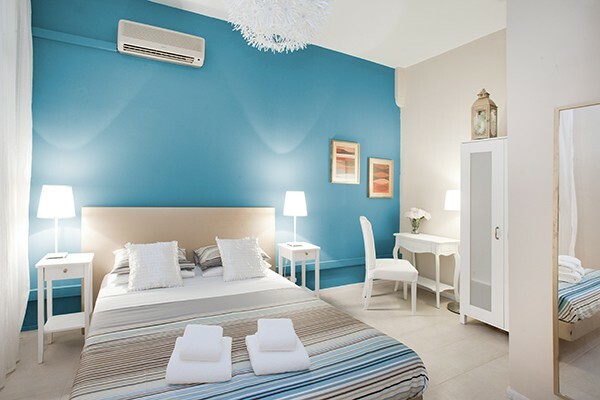 The room was clean and light with separate beds and a balcony. Two showers were available, of which one was not working perfectly by the way. Two minor downsides, sound isolation is not perfect (but it's located in a fairly quiet neighbourhood, so that's not the bigest deal) and the breakfast was nothing special. There were plenty of things to choose from (There was bread, cheese, meat, honey, chocolate paste, cereals, milk, yoghurt, coffee, tea and even some sweet pastries). However, the bread was not that tasty and with a total of 7 people we had to share 8 slices of ham. The girl who has working there was not overfriendly, but she was correct and helpful, which is by far the most important thing. 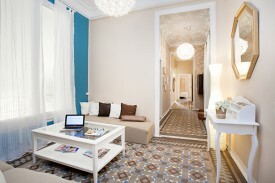 The B&B is located in between the city centre and the famour Sagrada Familia and both can be reached by foot. A metrostation and bus stop are also pretty much next to the B&B. I cannot say anything about the price, since I booked it as a package deal, but if it's not too expensive, I would recommend this for everyone. It's just a wonderful place to relax after a long day of sight-seeing. And several details made it just slightly more luxurious than many other places. Jammergenoeg zaten wij dus wel in kamer 5!!!! Dat hoeft voor ons nooit meer!!!!!!! Ik heb het 8 maanden geleden geboekt en vind het schandalig dat we gedumpt zijn in dit donkere hol! Geen daglicht, alleen uitzicht op een donkere muur. Voor ons geen herhaling vatbaar. Ook toen we bestolen waren totaal geen hulp van de manager.... tja ach dat gebeurt de gasten zo vaak! Daar kan hij zich niet mee bezig houden....al had hij ons maar een kop koffie aangeboden, toch? als een smaakvol,schoon adres met vriendelijk personeel. Casa Maca is a nice apartment with some nice rooms. However, one room should not be hired. Room 5 is a converted broom closet (so tiny) without tables and ... You look at the back of the elevator shaft. Very annoying because e.g. you do not know what the weather is. Moreover, the only window you have (yes the one with the view of the lift) can not open up because of the huge smell... Therefore the owners decided to place a fan. A shame that this room is rented! The present "manager" has nothing to do for us. He said the owners asked for a lower price earlier this room but since the rent controls Corendon no distinction anymore ... According to the description you will receive a clean set of towels every day, this is not the case. In a B & B you should not expect much from the breakfast. 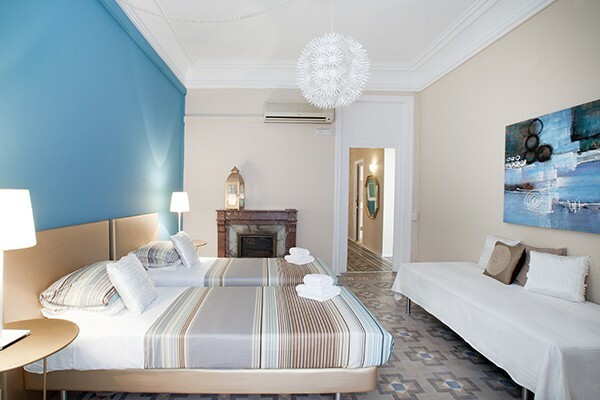 Hebt u in Casa Maca Guest House verbleven? Laat hier weten wat u ervan vond, en help anderen een goede keuze te maken! * Ik bevestig dat ik verbleven heb in Casa Maca Guest House.